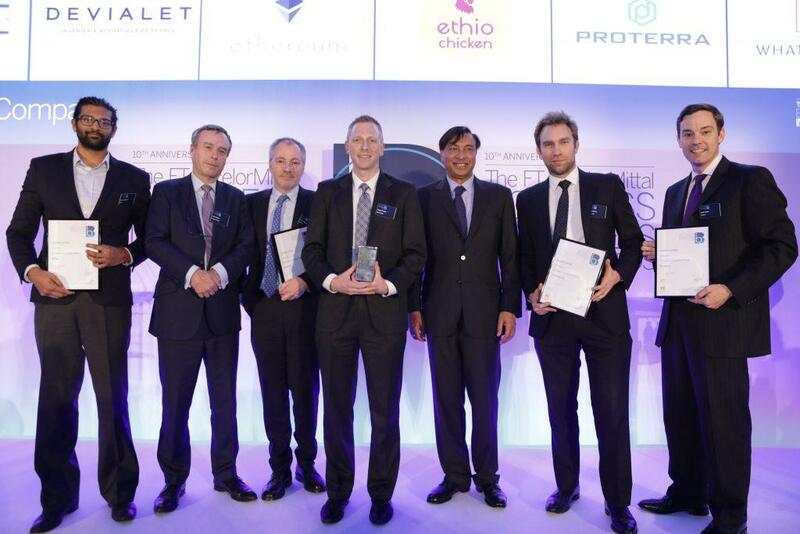 EthioChicken, an Ethiopia-based US-owned company, won the “Smaller Company” award at this year’s Financial Times’ (FT) ArcelorMittal Boldness in Business Awards on 15th March. Founded in 2010 as Mekelle Farms, EthioChicken took over an under-performing poultry production centre in the Tigray region of northern Ethiopia, increasing production more than thirty-fold within a year. EthioChicken has since expanded into four regions of Ethiopia, with production centres nationwide. It continues to produce affordable, blended feed, improved breed day-old chickens (DOCs), and train rural extension workers, thereby increasing productivity and creating a more stable and diverse supply of protein at the rural household level. It is the only private company in Ethiopia focused exclusively on reaching smallholder farmers, and has created an innovative, economically viable, and replicable distribution model to reach rural households. The EthioChicken model has produced millions of DOCs and impacted hundreds of thousands of rural households across Ethiopia. 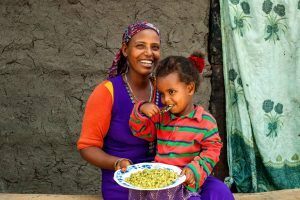 Their mission is not only to be a successful and profitable company, but also to improve the nutrition and livelihoods of rural Ethiopians, and to build the skills of its workforce. We recently caught up with Joseph Shields, Excecutive Director of EthioChicken, for an exclusive interview. Joseph Shields (center) with other winners at the FT ArcelorMittal Boldness in Business Awards, 15 March 2018, London. What motivated you and your partners to choose poultry and why did you start-up in Ethiopia? We chose Ethiopia because of its rapid economic growth, large and under-served domestic market and its relative security and stability in the region. We believed that an investment in poultry could help satisfy growing local demand, create thousands of jobs, and improve food security, and the income and status of women in rural communities. In your experience, what have been the benefits of investing in Ethiopia? We have benefited from a large and growing economy, favourable incentives for foreign investment, and supportive partners in the Federal and Regional governments. We’ve been very impressed by the quality of young talent in Ethiopia. 99.8% of our 950 employees are Ethiopian and our senior positions are filled by young Ethiopians that have been with the company since the beginning. What challenges have you faced during the 8 years you have been in operation in Ethiopia? Our experience has been mostly positive. The biggest challenges are shortages of foreign currency, difficulties in acquiring land and power, recent political unrest, and complexities surrounding import regulations. What has Ethiochicken been doing locally to engage with the communities it works in? EthioChicken’s mission is to bring healthy and affordable eggs and meat to every Ethiopian family, and in doing so improve nutrition, enhance rural farmer livelihoods, and create income opportunities for our customers and partners. We work closely with youth groups and cooperatives throughout Ethiopia. Further, we proactively engage staff, local government, and community leaders to ensure we have a smooth relationship in the communities where we work. Having recently expanded to Rwanda, where do you see your business in the next five years? Specifically, in the case of your operations in Ethiopia are you planning to further expand? What form do you see this expansion taking? We think that the potential of the rural market for poultry in Ethiopia is still largely unmet. Our vision is to bring a chicken to every person in Ethiopia within the next 5 years. We will continue expanding our production operations and our sales. What advice would you share with new investors, preparing to dip their toe into the Ethiopian market? Our first piece of advice is that Ethiopia is very clear about its development philosophy. When investors invest in sectors that are a priority for the country, there is a lot of support to be successful. Our second piece of advice is to invest in employee training and development programmes because there is great potential in the country’s youth. The third piece of advice is to make business model and investment decisions that favour inclusive growth that benefits many Ethiopians, which is what we have focused on. The African poultry-breeding venture is not only boosting the livelihoods of people in rural areas but improving their nutrition too. EthioChicken’s mission is to bring healthy and affordable eggs and meat to every Ethiopian family, and in doing so improve nutrition, enhance rural farmer livelihoods, and create income opportunities for our customers and partners.